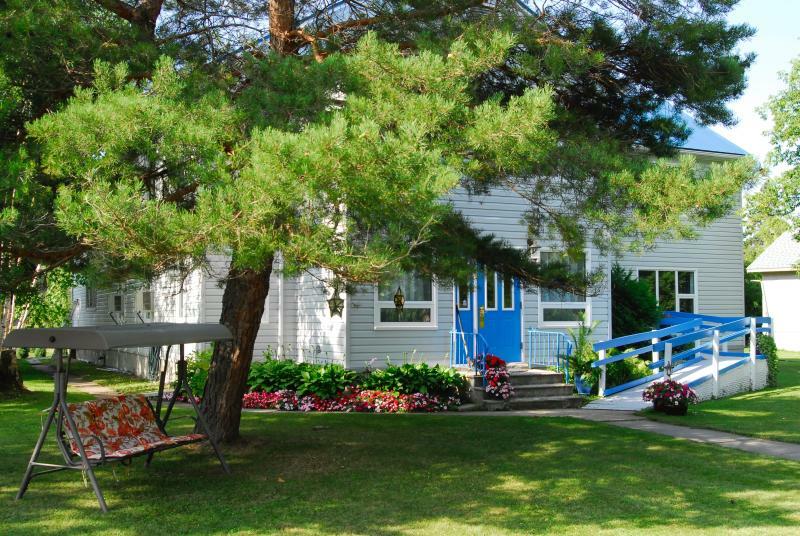 The Staff House Bed & Breakfast with Moai Yoga Studio is an historically rich home located on the shore of Natalie Lake next to the Seven Sisters Dam. Originally a home for single men and women working for the Winnipeg Power Company this extensively renovated and updated house is a great place to come to relax or explore the rich features of eastern Manitoba. The house contains a yoga studio where guests can participate in yoga classes or meditation sessions. Your stay includes a hearty breakfast sourced from local foods when available. Activities such as hiking, fishing, golfing, swimming, boating, skiing, snowmobiling, ATVing are all possible in this area. The Whiteshell Provincial Park is just 10 minutes away. Join us for a day or a week to bask in all the pleasures the Staff House is open to.